> I had to read this book. A small army of my female students have lost themselves in Twilight and its subsequent follow-ups. Some girls have never enjoyed reading, that is, until they discovered Stephanie Meyer’s knack for appealing to the feelings and romantic visions of teen girls. Meyer does this in a classic way by steering clear of the pitfalls so often found in today’s more tawdry and shocking romantic young adult novels. Her writing, at times, reminds one of another era. Although she does this with far too many adverbs, we won’t chastise her for ignoring E.B. White’s literary caution that the road to Hell is paved with adverbs and adjectives (His words, not mine. He even threatened to shout it from the rooftops). Stephanie Meyer has gotten groups of girls who have never seriously thought about reading to read. Considering today’s emphasis on anything but reading, I think it’s great. Bella, Meyer’s every-girl protagonist has moved to Forks, Washington to live with her estranged father. Her mother, a bit of a free-spirit, has remarried and plans to follow her baseball-playing husband on a tour of the minor leagues. Bella needs stability, so she decides to move in with her father, Charlie, the Sheriff in Forks. He doesn’t appear built for a daughter, but he tries his best and endears himself to the reader. On one of her first days of school in Forks, Bella meets Edward, the local, teen vampire whose good looks and chiseled shape are all-too-often described as “marbled.” Edward can’t seem to stand Bella. Although she really has no experience with boys and describes herself as clumsy, she is drawn to Edward. Edward, however, has earned the reputation as being “too good” for anyone. He’s a bit of a snob. To make a long story short, after many thrusts and parries (pardon the fencing terminology), they become a couple. But the drama doesn’t end there. Edward slowly reveals his family history and why they can never become the type of couple Bella envisions; Along the way, Bella’s association with Edward places her in grave danger. 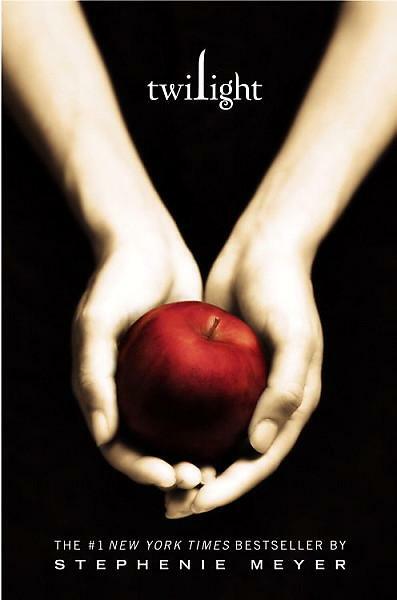 Twilight has everything – romance, love, steamy dialogue, violence, and adverbs, lots of adverbs. So what’s my take on Twilight? If Meyer had resisted the unnecessary use of modifiers, the book would have been only 400 pages instead of 498. And that would have made me happy. But it would have made many young teen girls unhappy. Girls enjoy the book, and it has, at least temporarily, converted many of them from text messagers to readers. And for that, I am grateful. I’m going to take a break before I reach for Meyer’s second novel, New Moon. I just started Peak, a fast-paced action-adventure by Roland Smith, best known for Zach’s Lie. Maybe a dose of young adult action-adventure will prepare me for what I’m sure amounts to 608 pages of modifier-friendly prose. We’ll see.